Arkham House, 1979; 202 pp. ; limited to 4,053 copies. First Edition. 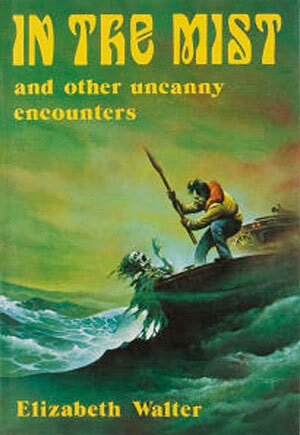 In the Mist and Other Uncanny Encounters is a collection of stories by Elizabeth Walter. It was the author's first book published by Arkham House. The stories were selected by the author and were those she considered to be her best. Book is solid and clean; black binding cloth is clean and shiny; boards are unbumped and corners sharp; gilt lettering on spine is bright; pages are clean and bright. Dust jacket front is clean, bright, unblemished and unchipped; flaps are clean and bright with original price ($8.95) unclipped; rear cover is clean and bright. Overall, this is a fine copy of the book in a fine dust jacket.